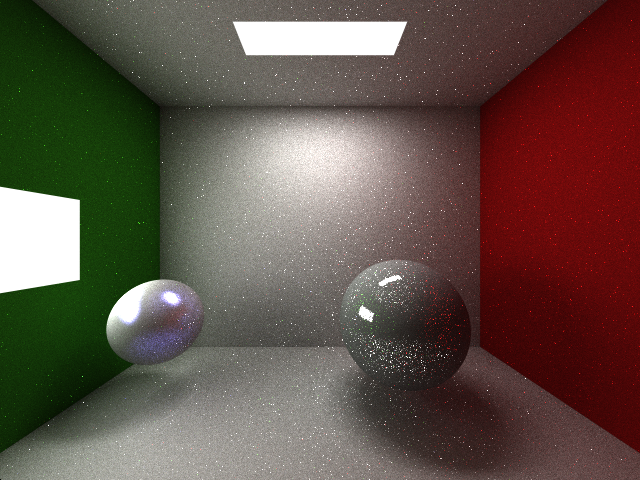 So I just thought of comparing the results from a Naive Path tracer and one using Next Event Estimation aka Explicit Direct Light Sampling. However the results from the Naive PT are very dark. I thought that a Naive PT would produce images with the same brightness but more noise and it would take longer to converge. The main reason for dark images I think is because I'm averaging the colors obtained from the previous run with the next run. On each run I shoot 1 sample per pixel. The brighter colors will surely get averaged out. Moreover they won't converge or in other words they won't get brighter since the number of useless samples surely outweigh the number of useful samples. However in every implementation I could find over the net, people averaged it simply like I did. So is that actually a problem or is it expected? I stumbled upon this question which is pretty much the same thing OP is asking but in the end they find problem with the raytracer and not the path tracer. I don't understand. If you guys are interested in the code, here is my kernel. 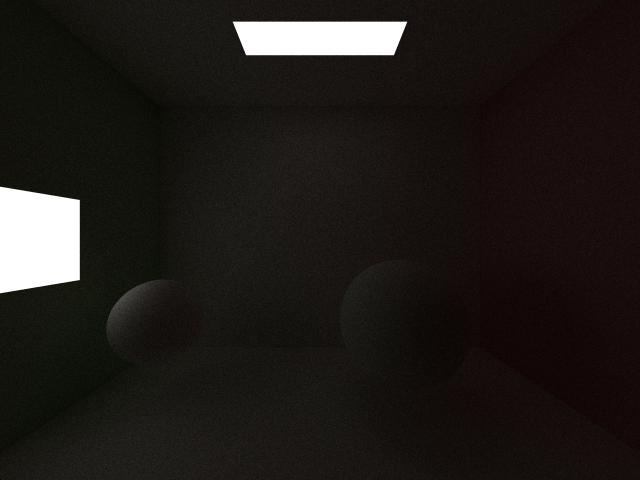 The main functions to look for are shading() which contains the whole bouncing around portion. EvaluateBRDF simply evaluates the blinn phong model. The averaging out is done in the main kernel evaluatePixelRadiance in the end. UPDATE:- So I corrected what Stefan pointed out and removed color clamping. I was using an 8bit depth default framebuffer and RBO of 32 bit floating points. So I guess the data gets clamped automatically when blitting to the default framebuffer. And it seems to have solved the issue. I'll update the results shortly. It looks like you're clamping all your samples to 0-1 in line 215. Apply clamping only when displaying the image, not when accumulating samples. Not the answer you're looking for? Browse other questions tagged pathtracing sampling or ask your own question.